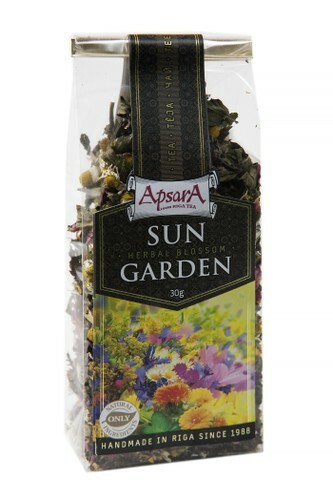 Ingredients: camomile, peppermint, petals of rose, maringold, safflower and cornflower. Taste: bouquet of floral notes with presence of cool mint and saturated camomile. Brewing instruction: Boil fresh water. Take a 5g tea for pot 300ml and allow tea to brew 5-7min. Features&recomendation with food: Before night time. Some light snack or fruits. Product highligths: There is another tea, which we can proudly call – Latvian Origin! Because main ingredients are grown, hand-picked and processed in Latvian herbal factory! Please, enjoy flavours of our fields and meadows!